I love bagels! Bagels have been a favorite breakfast item of mine for quite some time. I have experimented with a few recipes and finally came up with a winner. These bagels are not only delicious, they also smell amazing. Give it a try and let me know how much you love them! 1. Combine ½ cup of the warm water, sugar and yeast in small bowl. Do not stir. Let it sit for five minutes. Stir the yeast and sugar mixture, until it all dissolves in the water. 2. Mix the flour, rosemary, and salt in a large bowl. Make a well in the middle and pour in the yeast and sugar mixture. 3. Pour 1/3 cup of the remaining warm water into the well. Mix and stir in the rest of the water as needed. 4. 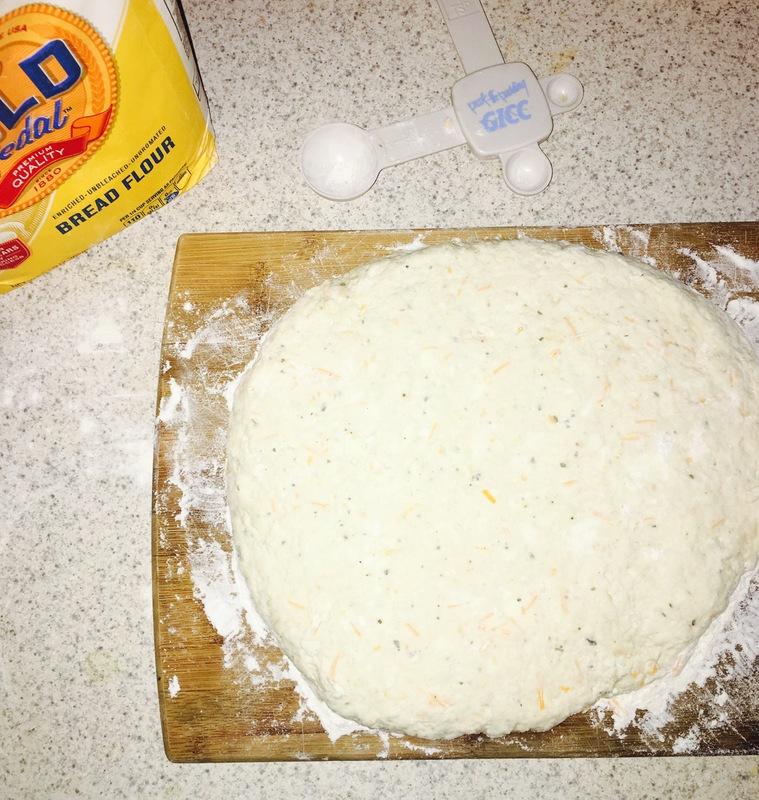 On a floured surface, knead the dough for about 10 minutes until it is smooth and elastic. 5. Lightly brush a large bowl with olive oil and turn the dough to coat. Cover the bowl with a damp dish towel. Let rise in a warm place for 1 hour, until the dough has doubled in size. Punch the dough down, and let it rest for another 10 minutes. 6. Carefully divide the dough into 8 pieces. 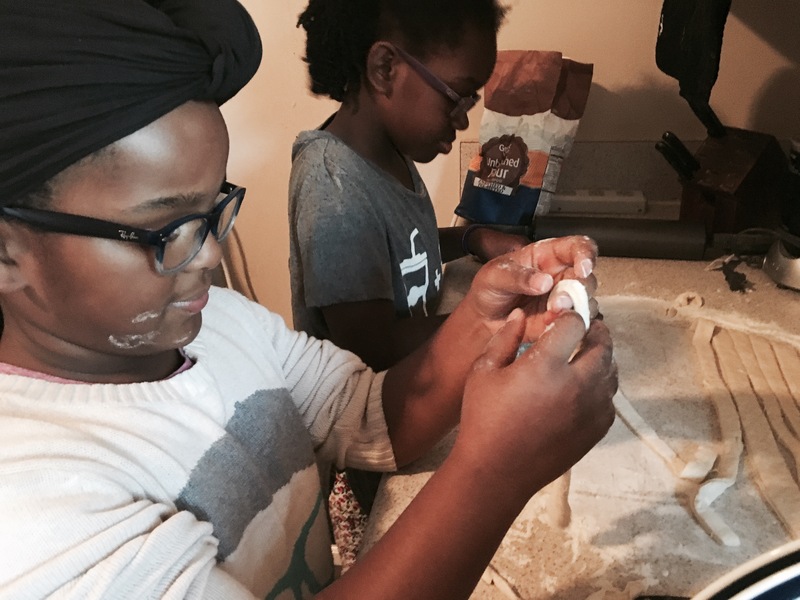 Shape each piece into a round dough ball . 7. 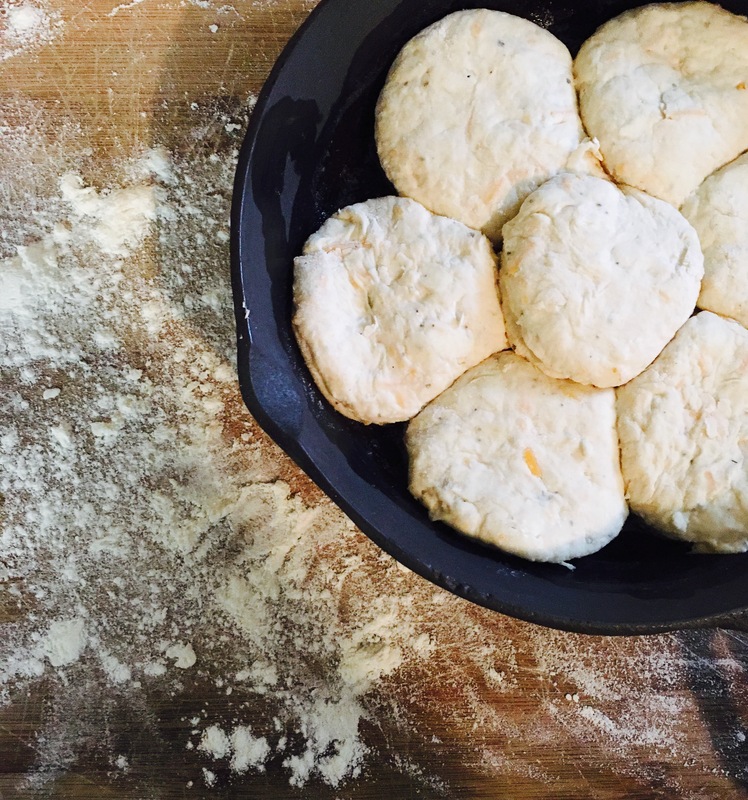 Coat a finger in flour, and gently press your finger into the center of each dough ball to form a ring. Stretch the ring to about ⅓ the diameter of the bagel and place on a lightly oiled cast iron pan. 9. Bring a large pot of water to a boil. Reduce the heat. Use a slotted spoon to lower the bagels into the water. Boil as many as you are comfortable with boiling. Let them sit there for 1 minute, and them flip them over to boil for another minute. Extend the boiling times to 2 minutes each, if you’d prefer a chewier bagel . 10. While bagels are in boiling water, mix 1 tbsp agave nectar and 1 tbsp water in a small bowl. 11. Once all the bagels have boiled, brush each bagel with agave mixture then sprinkle with dried rosemary. 12. Transfer bagels to a lightly oiled baking sheet and bake for 20 minutes or until golden brown. 13. Remove from oven and devour. January 9, 2019 is National Bagel Day, how are you celebrating? Today is National Breadstick Day! I love a warm buttery stick of bread. With cheese on top is even better. I didn’t realize how easy it was to make them until today. 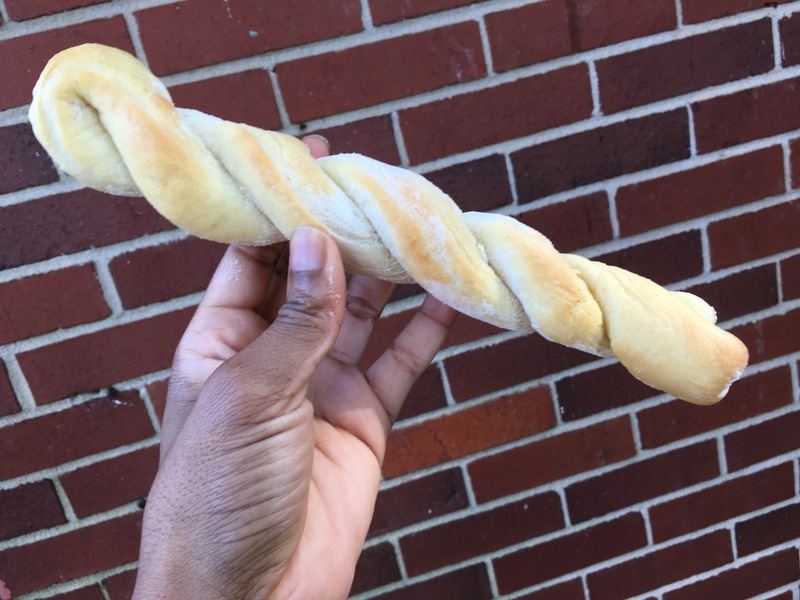 I’ve been in charge of after school activities for my daughter and her friend this week, so we made breadsticks today! We started off my preparing the dough by adding 1 TBSP fast acting yeast, 1 Tbsp sugar, and 1 1/2 cup of warm water. Then mixed the ingredients and let set for about five minutes. Next, we added 3 cups of flour and 1 tsp sea salt to the yeast. We stirred it with a wooden spoon until it formed a ball of dough, set it in bowl to let rise for 45 minutes. Now it was time to roll the dough out into a 1 inch square and cut into strips. The girls the rolled each strip with the palms of their hands and then made a twist. They loved this part! After placing them all on a cookie sheet, they were put in the oven for about 13 minutes. At that point you can smell the deliciousness all throughout your house. Mmmm. We made a buttery garlic mixture to brush on the top. Yum!! So good! So the other day I was playing around in the kitchen and started making biscuits. I LOVE BISCUITS!! My mother taught me how to bake at a very early age. I’ve gotten really good at it. Usually, I don’t even use a recipe. Lots of freestyling goes on in my kitchen. I started adding herbs, then I threw in some cheddar cheese. They were so good. I just needed to tweak the recipe some more to give it a little something extra! So yesterday before leaving to go to the park I made another batch of biscuits. And they came out perfect! 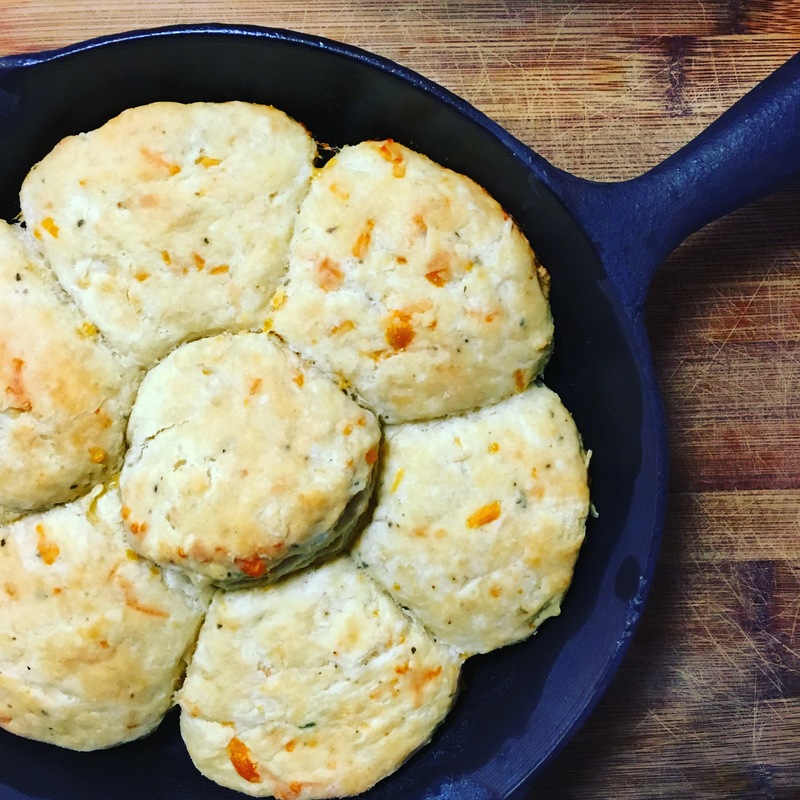 They were buttery, cheesy, and everything you want from a savory biscuit. You want this biscuit in your life! In a large bowl, mix bread flour, baking powder, basil, garlic salt, black pepper. Mix in butter with fingers until crumbly. Add milk and mix until it forms a ball of dough. Turn onto floured surface all roll out until it’s about a inch and half thick. Cut out biscuits. I always use a plastic cup but you can use a biscuit cutter if you have one. Bake 350 for 20 minutes.